Officially known as "the East Prussian Warmblood Horse of Trakehner Origin," the Trakehner originated with a small, local horse in East Prussia known as "Schwaike," who possessed superb endurance and an unexpected versatility. In the early 18th century King Friedrich Wilhelm I of Prussia decided to breed a horse for his officers to ride. He wanted them both attractive and sound, and to possess a comfortable ground covering trot. 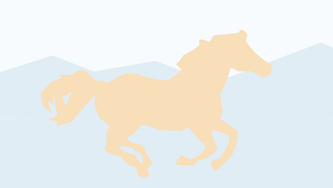 In 1732 he moved the best horses from seven other breeding farms to Trakehnen, and there the breed began to evolve. They came to North America in 1957 —coming first to Canada. In 1963 there was another large "importing" of Trakehners to Canada and, at the same time, the United States. If you are looking for horses for sale that have a regimented heritage, check out the Trakehners in our classified ads. Gorgeous Broodmare and light riding horse!! !